There’s a tin of cherry pie filling in the cupboard that I want to make a pie with. 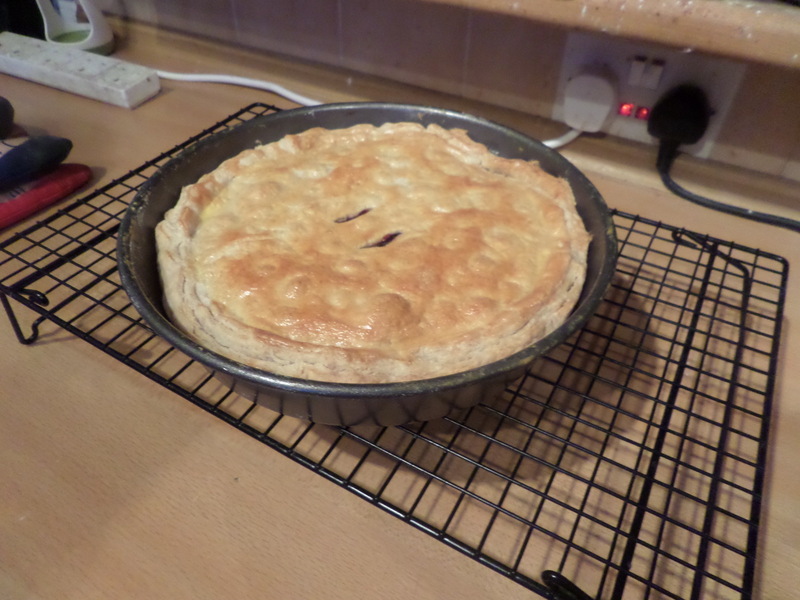 But it’s January and I’m trying to be all healthy… so I needed an excuse to justify making pie. I ended up with two excuses: one is trying sourdough pie crust, the other is in honour of Special Agent Dale Cooper returning to the new Twin Peaks. This was done for Sourdough Surprises before I joined in, and there they just use the starter instead of water to make the dough. However other recipes actually let the dough rise for eight hours: intriguing but I don’t have that sort of time. I’ve decided to go for Leith’s rough puff, with some added sugar as it’s a cherry pie, and use my rye starter instead of adding water. At 200% hydration it’s mostly water anyway, so I plan to treat it just like adding water. Mix flour, salt & sugar, add butter cubes and toss to cover, add rye starter to form dough. Chill, do 4 rolls & letter folds, chill again before using. 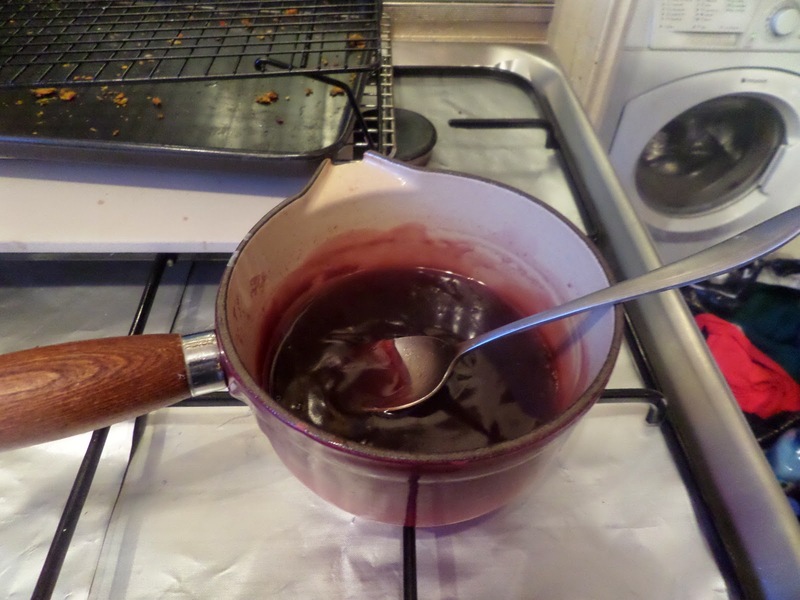 Turns out it’s not cherry pie filling I’ve got, but two cans of black cherries in light syrup. The light syrup was like water, so I had to reduce it down on the hob and thicken with cornflour (cornstarch) before using in the pie. 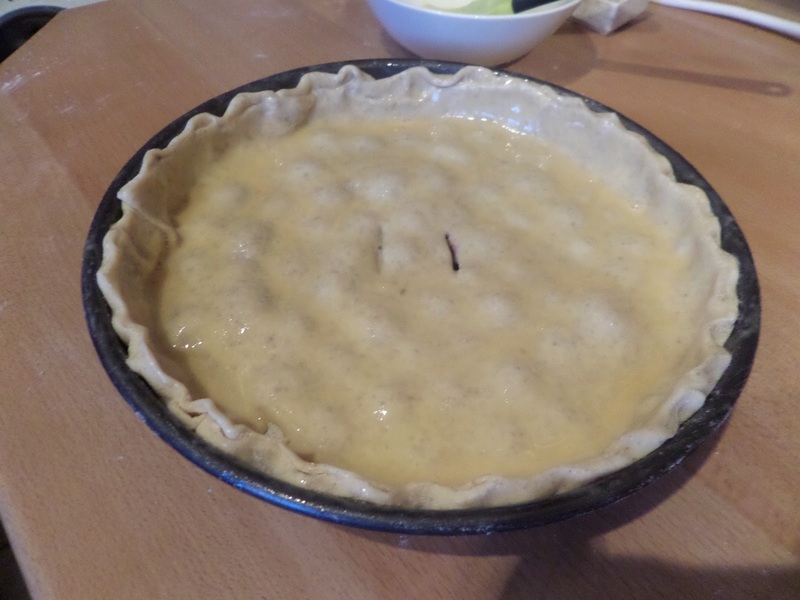 There was enough pastry for a double crust pie, which is preferred form of pie (because you get more pastry! ), and I put an egg wash on. The pastry wasn’t that crispy, despite what the top may look like. 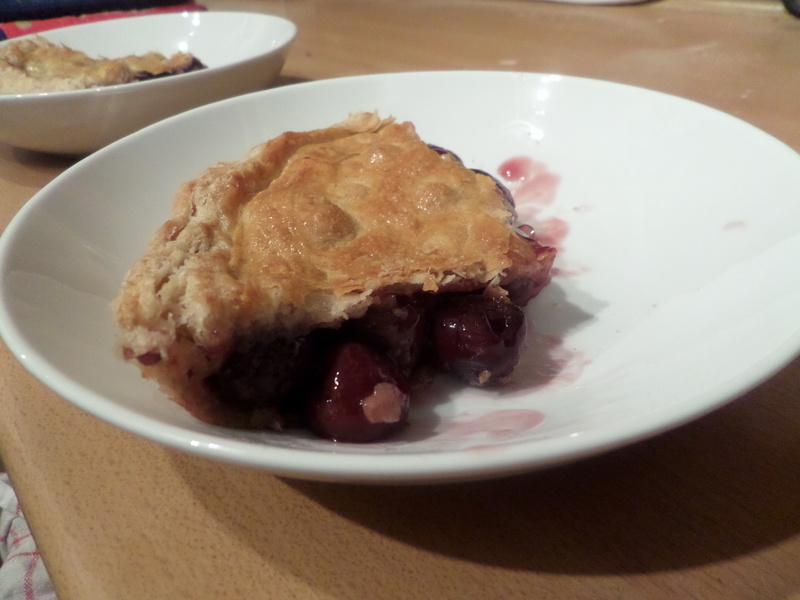 It tasted really good, with a nice sour hint from the sourdough that worked well with the cherries. I don’t think I’ll be doing sourdough pastry very often, I think we all prefer our pastry nice and crisp, but I’m glad I’ve tried it.